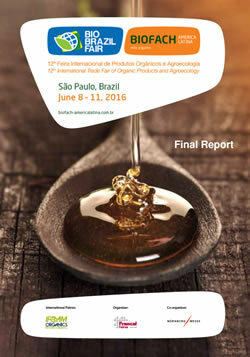 The BIOFACH has consolidated itself as the most important fair in the organics and agroecology segment in Brazil. The next event takes place from 7th to 10th June 2017, in São Paulo. The organic platform for specialists! BIO BRAZIL FAIR | BIOFACH AMERICA LATINA and Naturaltech hosted thousands of professionals and the general public, who saw and acquired novelties straight from producers. Type your name and e-mail. BIO BRAZIL FAIR | BIOFACH LATIN AMERICA and Naturaltech hosted thousands of professionals and the general public, who saw and acquired novelties straight from producers. All news can be found here. How much does a Booth at BIOFACH cost? NürnbergMesse and Francal Feiras in partnership to promote the major platform for the business of organics in Brazil. 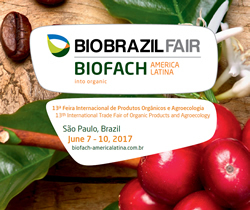 BIO BRAZIL FAIR/BIOFACH AMERICA LATINA consolidates as the most important trade fair for the segment in Latin America.